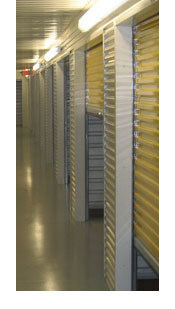 Since its inception in 1998, The Locke Group, has been engaged primarily in identifying self storage properties and negotiating with sellers for the acquisition of their properties on behalf of Sovran Self Storage, Inc. (“Sovran”), a publicly traded (NYSE – SSS) Real Estate Investment Trust (REIT). Sovran manages its properties under the Uncle Bob’s brand. Locke today has associates in Buffalo New York and Dallas Texas. The Locke Group’s President and CEO, Angelo Tomasello, was employed by Sovran in its internal property acquisition department prior to the formation of Locke. Shortly after Mr. Tomasello joined Locke, Sovran dissolved its internal acquisition department and Locke has provided this service to Sovran on an exclusive basis. Locke’s relationship with Sovran is strategic. Locke’s mission is to understand trends in the self storage segment of the real estate industry and apply this knowledge to assist Sovran in the execution of its business strategy. In the ten years since its inception The Locke Group has represented Sovran in nearly all its acquisition, refinancing and disposition transactions valued at nearly $1 billion. Locke’s core business has been and continues to be the identification of properties for acquisition and development. In connection with this, Locke’s associates have developed an extensive database of self storage owners gleaned from a variety of sources including direct contact, municipal records, association lists, and the internet. To complement the database, Locke continually acquires the most up to date demographic trend data available for each geographic submarket. This serves as a basis for targeting Locke’s search for properties. Locke’s acquisition activities are designed to save time for all parties concerned and include solicitation and screening of properties, term sheet negotiation, site visitation and inspection, competitor analysis, demographic analysis, preliminary due diligence and financial analysis. Proactive communication with “all hands” involved from initial contact through closing distinguishes The Locke Group approach. Also see about Our People for more information.